1. Valova S. (2010) Incentive and premium payouts in State institutions // State organizations: accounting and tax assessment. № 9. 2. Kadyrov F. N. (2013) Recommendations for managing work relationships with employees when introducing an effective labor employee contracts // Manager of Health Care. № 10. 3. Kadyrov F. N. (2013) Procedure for a transition to the effective contract // Manager of Health Care. № 11. 4. Putin V. (2012)‘Building the justice’. Social policy for Russia / Komsomolskaya Pravda, 13 February 2012. http://www.kp.ru/daily/25833/2807793. 5. Ryzhov N. G., Shestopalov M. U. (2011) Analysis of opportunities associated with introduction of effective contract for regulating work hours of science employees in Education institutions // Innovations. № 11 (181). С. 103–109. 6. Samofalova O. (2012) Effective State employee / Business newspaper «Vzglyad». 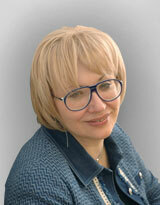 http://www.vz.ru/economy/2012/7/11/588045.html. КАДЫРОВ Ф.Н. Цели и задачи «эффективного контракта »: идеология и проблемы внедрения. Экономика науки. 2015;1(3):180-197.